Today, we’ve released our first update to KORG Gadget for iPad version 1.0.2 (code name : Milpitas). Since Gadget’s release, we’ve received plenty of great feedback and requests. Although we cannot implement all the requests we’ve received so far into this update, our world-class engineering team will continue to improve Gadget for a long time coming as we continue to improve upon this fresh, mobile music production platform. This update is just the first step in what will be an ongoing process to continue to improve KORG Gadget. Each subsequent update to KORG Gadget will be indicated with a micro step (1.0.1, 1.0.2, etc.). 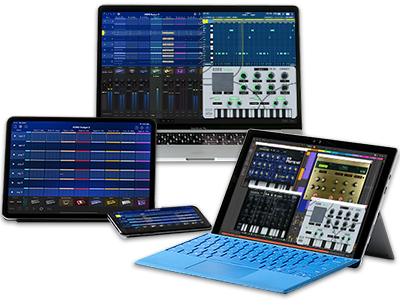 Please be sure to update your KORG Gadget to version 1.0.2 as soon as possible! Additionally, we are holding a special 25% discount until March 31st. If you don’t yet own KORG Gadget, there’s never been a better opportunity to buy it! > Download and update on the App Store. > Visit also the Remix Contest for more info.